We are currently in a renaissance period for long-term investors. It was not too long ago that the sovereign wealth funds and government pension funds of the world were mainly passive investors, holding positions primarily in stocks and bonds, and relying on the expertise of outside asset managers. Today, these funds have evolved into sophisticated investors in their own right. Many have expanded their investment teams and operations, and have started investing in a broader range of asset classes, such as real estate and infrastructure. Some long-term investors have stepped in to bridge the gap left behind by traditional financial intermediaries in the wake of intensified regulation by creating new benchmarks and investment models. 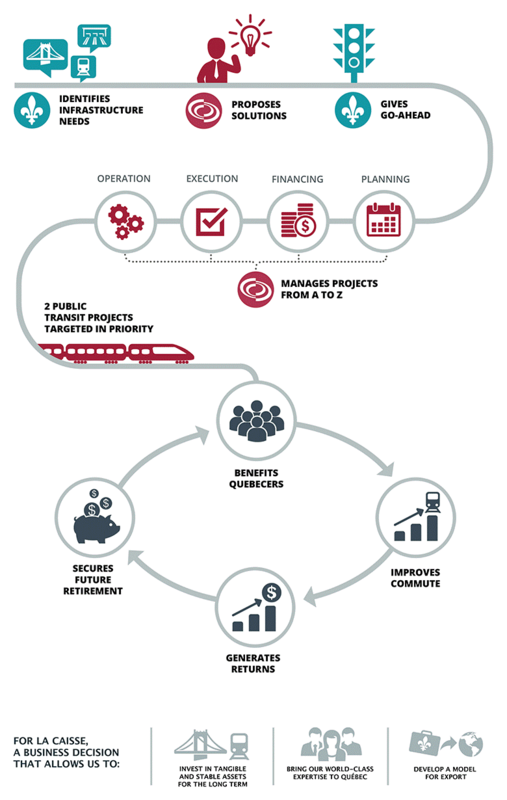 One example of this is Caisse de dépôt et placement du Québec (CDPQ), which has created a new model for infrastructure investing. Traditionally, infrastructure has been planned and funded at the government level. But this created a gap between infrastructure needs and the amount of financing available. Public-private partnerships were the next evolution, with governments still taking on the role of planning infrastructure projects, and with private consortiums providing the funding. CDPQ has developed a new model with their CDPQ Infra, a wholly owned subsidiary which works with the government at the planning stage and with other partners on financing. Beyond that, CDPQ Infra would also be involved in the execution and operation phases. Moving away from traditional portfolio models – which build the portfolio by spreading assets across traditional asset classes such as stocks, bonds, commodities and real estate – some asset owners are instead diversifying the sources of risk within their portfolios. ATP, a Danish pension fund, has had great success with this approach. Since 2006 ATP’s investment strategy has been based on risk allocation, where the focus is on the risk associated with a given investment rather than on the amount invested. They have now gone a step further by adopting a risk factor approach where each investment is decomposed into four risk factors (interest rate factor, equity factor, inflation factor and other factors). While asset owners are growing their own capabilities, they still find value in working with external managers. This relationship has evolved for some investors from a more traditional and passive role as a client, to a more active role that aligns their interests with that of the managers. An example of this is PensionDanmark, a mid-sized pension fund that has been able to use an external fund manager as an aligned intermediary in direct infrastructure investing. Instead of hiring a manager and ceding investment responsibilities to them directly, PensionDanmark developed an internal team focused on infrastructure, and then seeded Copenhagen Infrastructure Partners as almost an extension of the internal team rather than a traditional external manager. These case studies help to provide a practitioner’s perspective on different ways that the institutional investment community has worked to adapt to myriad forces reshaping financial markets, economic behaviour and institutional design. The goal was to understand both the circumstances that led to these innovations and the ways barriers were overcome during the implementation process. They reflect parallel developments in, and are applicable to, a variety of other business sectors. Read all the case studies here .